Effective execution of investment strategy is paramount to a successful program. Good structure and strategy are lost without good execution. Institutional structures and committees along with infrequent meetings pose a substantial challenge to good execution. Concord has helped our clients meet these challenges for over 25 years. Concord’s Investment Strategy Group works to identify the most cost effective and best-in-class managers for all asset classes. Both active and passive (index) managers are utilized depending on the specific client’s mandate. Concord employs an open architecture environment; there is no manager “platform” and managers are not charged for inclusion in searches. Prospective managers are identified via selection screens run from both internal and external databases utilizing both quantitative and qualitative criteria. The quantitative criteria include items such as long-term performance, consistency of returns, risk characteristics, up market/down market capture, active share and average margin of performance versus benchmarks. The qualitative criteria include strength of personnel, structure of investment process, client servicing capabilities and pricing. Concord provides customized monthly performance reporting packages to all clients. All aspects of the portfolio and its underlying managers are monitored and evaluated versus benchmarks. Concord maintains one internal system that combines performance reporting, manager research, and consulting project/task management. It is supported by numerous data feeds from various data sources and subscriptions. Our vast commitment of resources to our internal reporting system allows us to be in complete control of report preparation, in terms of both content and timeliness. Concord believes that taking a dynamic approach to re-balancing and advising client investment programs is appropriate given the pace and intensity of expected market conditions. Concord will recommend changes to the portfolio within defined ranges and policy, in order to take advantage of opportunities and to protect against risks that may present themselves. Concord monitors the client’s portfolio positioning on an ongoing basis. Proper execution of portfolio rebalancing is of utmost importance due to time sensitivities and liquidity issues involved with transactions. Concord ensures that trade tickets and letters of instructions are completed accurately and processed by trade cut off times. Concord works with the portfolio managers to determine fund liquidity and availability of cash when moving between funds, and ensures that sufficient time is allowed for potential processing errors and delays. Management fees should be scrutinized closely for any potential manager that an organization chooses to hire. Investment management firms should only be hired if their fees are competitive with their respective peer group. Concord has long been an advocate of utilizing a combination of skillful active, and passive (index), investment strategies in client portfolios. The rationale for inclusion of indexing gives a significant advantage to clients in the ability to operate their investment programs on a cost-efficient basis. Concord monitors all portfolio related costs (friction). A comparable cost analysis versus industry norms is provided on an annual basis. 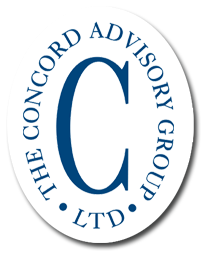 Concord provides back-up support to our client’s staff for all day-to-day portfolio management responsibilities. This includes managing cash flows, resolving guideline infractions, customized reporting, investment manager relations and working with outside auditors or actuaries. Concord structures its client service teams to ensure that clients have access to high quality advice as well as dependable and consistent access to personnel for service-related questions. To facilitate this, every client is assigned a dedicated team directly responsible for all aspects of the relationship. Successfully managing an organization’s investment assets is the culmination of various interested parties (both internal and outside vendors) working together to make informed decisions on a timely and efficient basis. Many times human nature, emotions and intense marketing from financial services institutions are all working against the organization in their attempt to preserve investment capital and maximize investment returns. Behavioral science is a field that formalized many insights into the functioning of group decision making. Investment committees have the potential by design to be highly productive or terribly dysfunctional. Concord has the experience and expertise to ensure that committees are well functioning. By following sound decision-making procedures, coupled with utilizing objective expert advice and counsel, in a structure that is efficient from a cost, as well as an operating basis, the chances of success are actually quite high. For organizations considering a move to an OCIO vendor, Concord can assist in determining if outsourcing would benefit an organization based on their particular circumstances, along with providing insights into the different OCIO service models. Concord will oversee the RFP process for an outsourced investment program. This includes conferring with the Client to determine preferences and expectations of the request for proposal (RFP) process; analyzing the current investment program to determine structural details that may affect candidate selection; reviewing the RFP responses for completeness and comparability, including contacting and retrieving additional data from all RFP candidates where necessary; evaluate all RFP candidates and deliver a comparable summary review for assistance in selecting final candidates to interview; assist in the negotiation of all fees. Concord possesses OCIO industry expertise while maintaining a large database of OICO providers. We have a broad and deep understanding of the industry for evaluating an organization’s portfolios and investment management operations. Sooner of later, most organizations with an OCIO want to have a check-up. Placing all that responsibility (i.e.agency risk) with what is typically just one management firm certainly warrants periodic review. Whereas most organizations depend on the OCIO to report on themselves, a third party independent firm offers a different perspective. In addition to detailed comparisons of performance, risk, and fees to a competitive peer group, Concord evaluates benchmarking, policy compliance, and potential conflicts of interest. Determining the investment structure that best meets the organization’s needs, reviewing the underlying strategy to achieve objectives, and setting policies to ensure that a disciplined process is implemented and maintained. Supporting clients in managing OCIO relationships via monitoring, benchmarking and reporting to improve and sustain portfolio performance and keep OCIOs accountable.